“Remember, as of today, neither your job nor your family is safe, whatever I say they believe me, and that is how it’s going to be”. These are the threats which Velibor Zlatković, road maintenance worker from Crna Trava, reported to the police in October 2016, and the reason for the Basic Public Prosecutor’s Office in Leskovac to prosecute Dragan Klisura, owner of the construction company Hidro-Tan and partner of Nikola Petrović, best man of Serbia’s president, in the company Eco Energo Group. 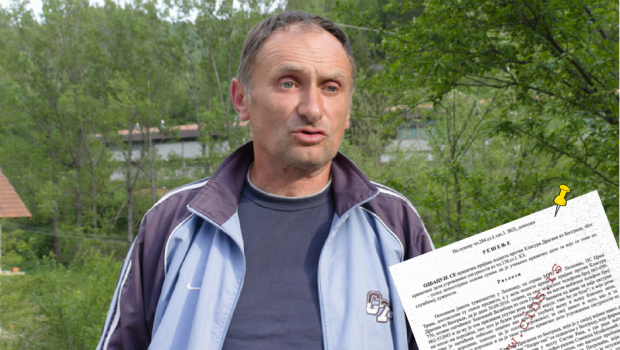 In the end of June, Center for Investigative Journalism of Serbia (CINS) requested documents on this case from the Basic Public Prosecutor’s office in Leskovac; however, the reply was received only after the expiration of the legally prescribed deadline, and after the publishing of the text on business operations of companies Hidro-Tan and Eco Energo Group – “From Nigerian scheme to clandestine EPS procurement worth millions” which mentions these developments. Several months after the submission of the report, Zlatković was laid off, while employees from the road company Trace did not want to give comments on this for CINS. In his interview with CINS, Klisura says that “everything was made up, and if there were something, this would be investigated further”, and that he feels offended for the fact he was suspected of something he had nothing to do with; he also denied the allegations about the threats before law enforcement. The phone call in which Klisura allegedly threatened Zlatković followed the situation in which Zlatković, in the capacity of an employee of company Trace from Vranje, came with police officers to the construction site of company Hidro-Tan in Sastav Reka as he had noticed that protective fence was removed on the right side of the road, close to the Hidro-Tan construction site. Earlier, Zlatković said for CINS that in a phone conversation Klisura asked him what he had against his company and that he replied he had nothing, that he was just doing his job; this is also included in the case file of the Prosecutors’ office. He told the police that in the days following the event he talked to Slaviša Mlađenović, civil engineer employed with Hidro-Tan on several occasions, who told him that Klisura was serious when he was speaking about his family and that he was serious when he was speaking about his job. Mlađenović confirmed to the police that he had talked with Zlatković, but that he told him he was not familiar with Klisura threatening him and that this is not the manner in which he works and functions. Klisura explained to the police that an employee of his called Zlatković in relation to the event so as to talk to him about possible measures which need to be taken to reconstruct the part of the roadside which was undermined, but that he was not familiar with the details of the conversation. The Basic Public Prosecutor’s office in Leskovac dropped the criminal charges against Klisura on 26 October 2016. These were not the first criminal charges against Klisura. The last CINS investigation indicates that companies Hidro-Tan and Eco Energo Group started operated with suspected hidden ownership. In 2010, company Energoprojekt filed criminal charges against Klisura and four more individuals employed with Energoprojekt Oprema for suspected abuse of office and money laundering, in relation to initiation of business operations of company Eco Energo Group, which, together with Hidro-Tan, is a current leader in business with renewable energy sources in Serbia. The Higher Public Prosecutor’s Office in Belgrade dismissed these criminal charges in March 2013. CINS earlier discovered that to purchase electric power from small hydro power plants which are connected to Nikola Petrović, best man of Serbia’s President, the state paid more than 10.1 million EUR in the period 2013-2017. Most of this money was paid to nobody else but company Eco Energo Group, in which, besides Petrović, Dragan Klisura, owner of Hidro-Tan, Vera Ristić, mother-in-law of tennis player Novak Đoković, and Nenad Kovač, called Neša Roaming also have stakes. In the period between 2013 and 2017, Hidro-Tan, construction company engaged in construction of small hydro power plants in Serbia, increased its income by 4.3 times – from 2.3 to 10.4 million EUR. This is partly due to the businesses Hidro-Tan got from the state, including the almost five million EUR worth reconstruction of 14 small hydro power plants owned by Serbian Electric Power Industry (EPS), financed from EBRD loans.